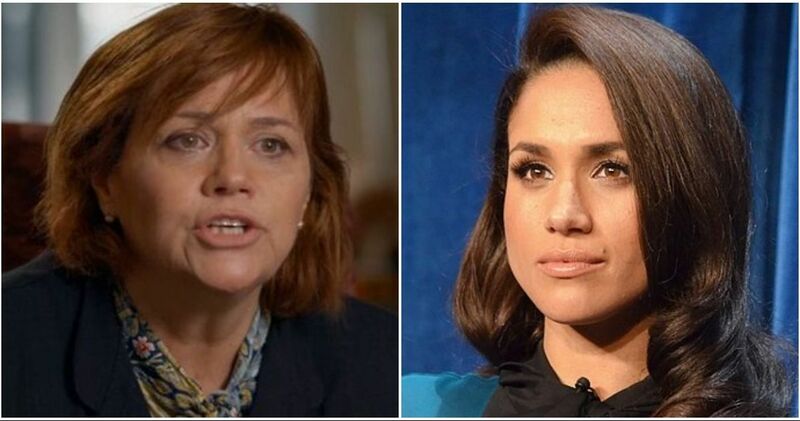 With Prince Harry and Meghan Markle's wedding coming up fast, fans of the British monarchy have been hardly able to contain their excitement. As one of the most joyous occasions a family can celebrate, walking down the aisle to your soulmate is an event you'll remember for the rest of your life. However, sometimes things don't go according to plan, and mishaps can happen. The key is to not have it ruin your big day, and maybe have a laugh about it afterwards. 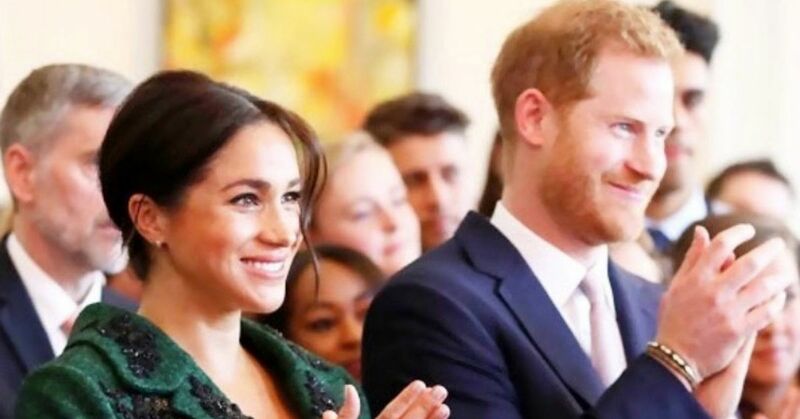 But, don't feel bad, because even the royal family can become flustered at their wedding ceremony - and then have it be permanently plastered all over the internet. Curious about what accidents the royals have faced? 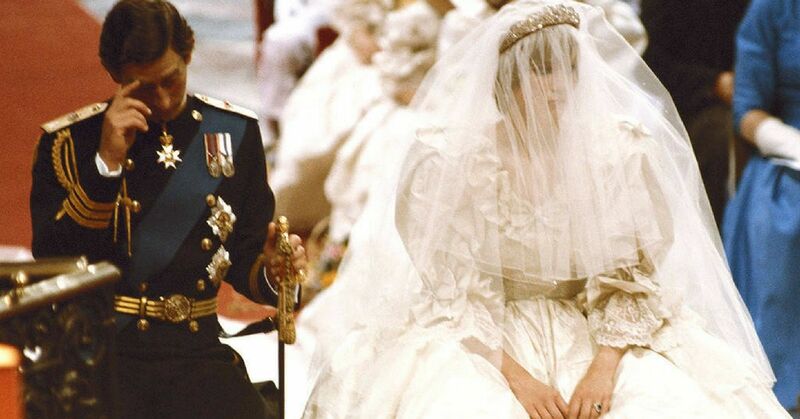 Well, here are 15 mistakes that prove even the monarchy can get embarrassed on their big day. Before Princess Diana's nuptials to Prince Charles even began, she had already caused an accident. While putting on perfume she unintentionally poured it down her wedding dress. 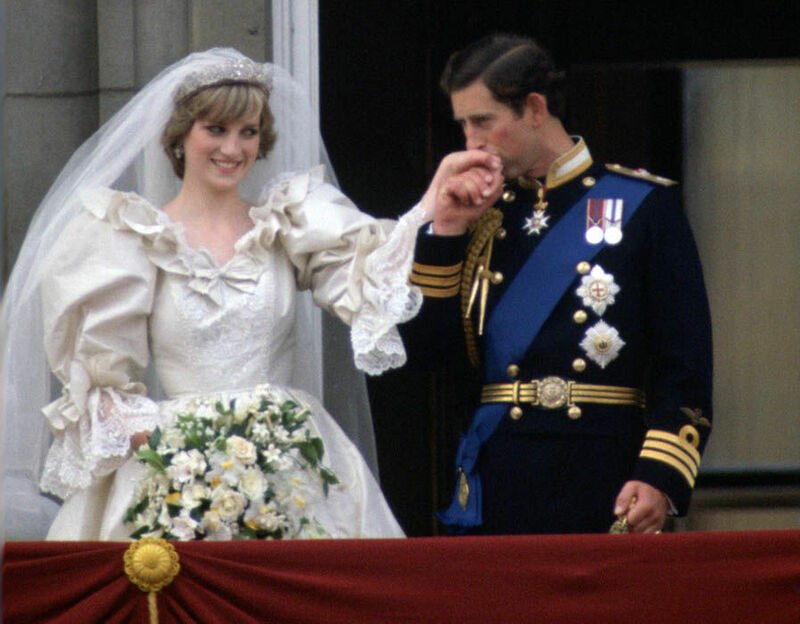 Since it was only hours before Diana was supposed to tie the knot, her makeup artist, Barbara Daly, told her to cover her hands over the stain. 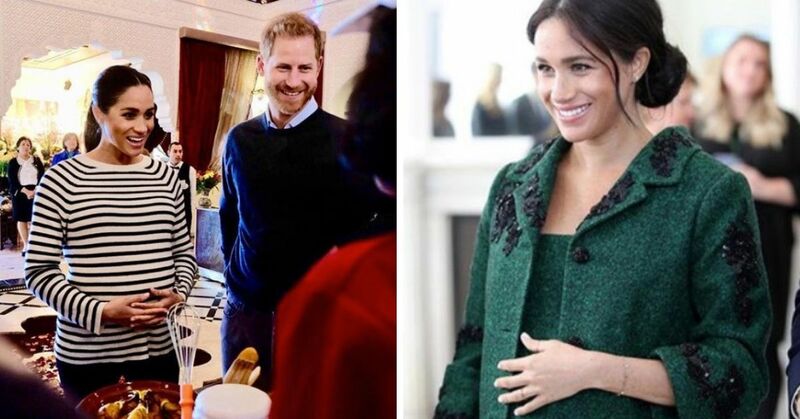 Daly told People that she told the soon-to-be princess "to simply hold that spot on her dress as she was walking to make it seem like she was lifting the front of her dress so she didn't step on it." "She was even spotted trying to cover the spot where the perfume spilled with her hand as she approached the altar," Daly added. Now that you know this tidbit of information, you'll notice that Diana's hands and bouquet was always strategically placed. Things weren't looking good for Charles on the big day either. While reciting his vows, the Prince of Wales accidentally left out a crucial word. Instead of promising to give Diana his "worldly goods," he only said "thy goods." To make matters worse, Diana screwed up when she called the prince by the wrong name. 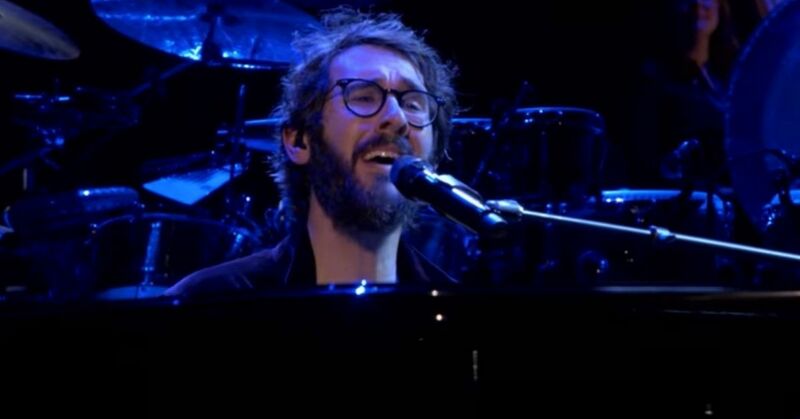 Instead of saying "Charles Philip Arthur George" she called him "Philip Charles" by accident. While it was a simple mistake (Charles does have a longer moniker than most), you would think she knew the difference between her husband's name and his father's! 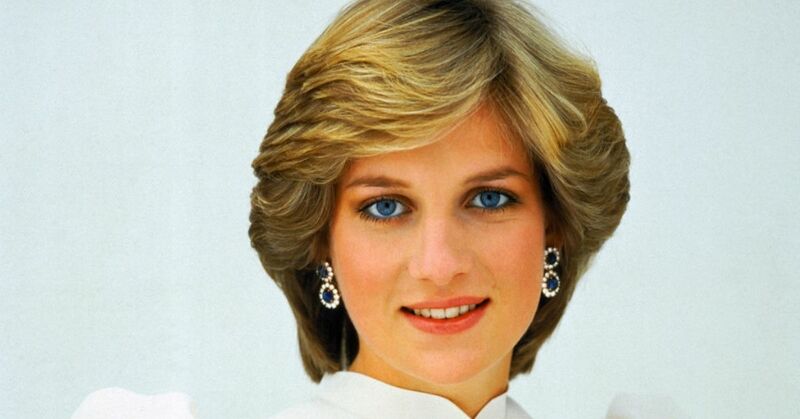 However, famed journalist Barbara Walters said the faux pas made Diana even more likable to the public. 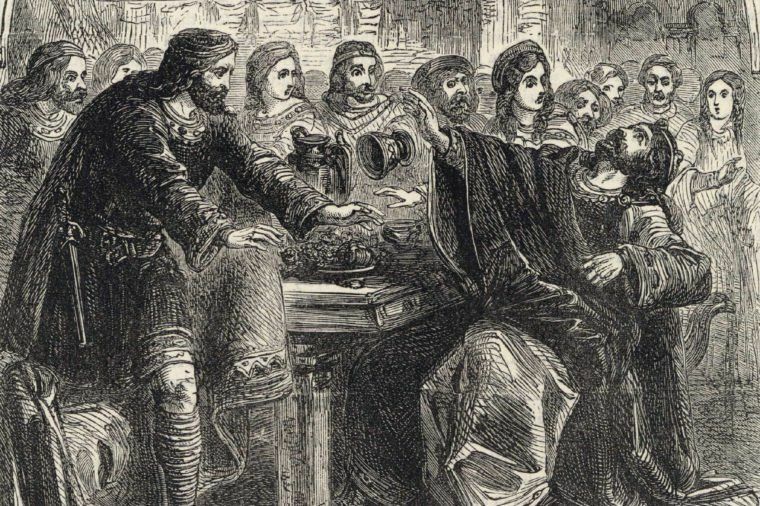 "All it did was endear her more to her people because it was human and understandable." she shared. While every bride hopes to wear the most gorgeous gown for their wedding day, they have to be smart when thinking about the fabric. 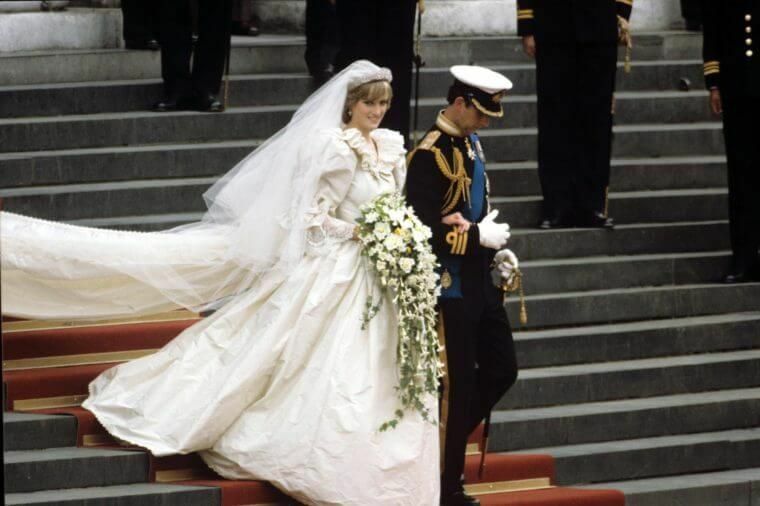 To add insult to injury, not only did Diana's dress have a perfume stain on it, but it was also covered in wrinkles after she stepped out of her carriage. The ivory silk taffeta and antique lace gown had a 25-foot-long train, which was noticeably wrinkled in all of wedding photos. Sometimes it's not a human that adds some hijinks on your wedding day. 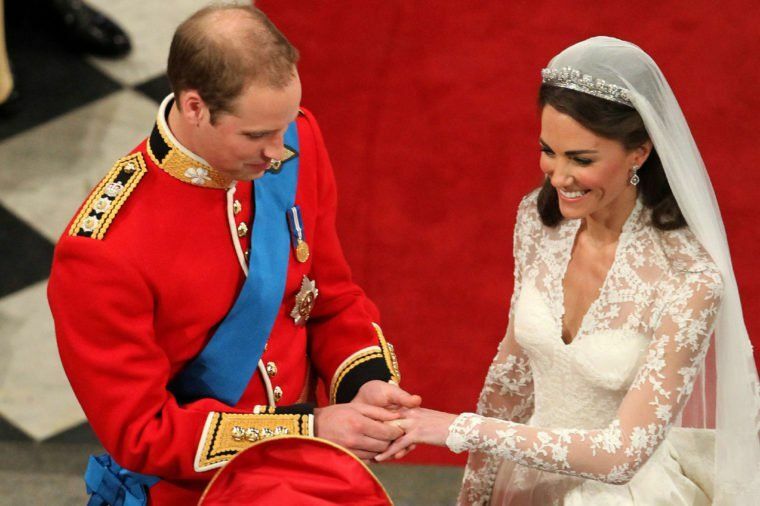 After tying the knot, Prince William and Kate Middleton were sitting in a horse-drawn carriage for their procession. 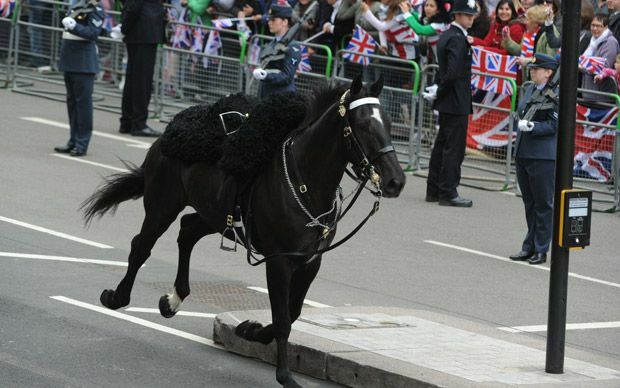 However, one of the horses in the parade got spooked and flipped the guardsman from the saddle and made a mad dash out of there. Luckily no one was hurt, and the rest of the event went according to plan. However, before the Duke and Duchess of Cambridge endured the horse mishap, they were involved in a bit of a predicament with Kate's wedding ring. 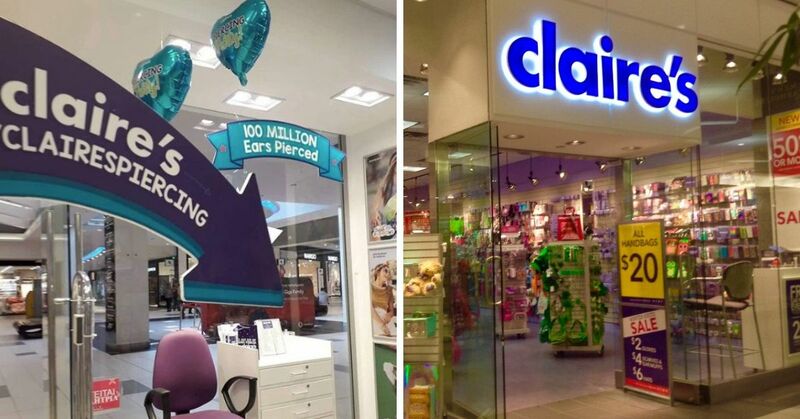 When he tried to put it on her finger, the pair realized it didn't fit. Kate had requested the ring be resized so the band wouldn't slip off her finger, but it was a difficult feat to get it on past her knuckle. Eventually William was able to put the ring on his blushing bride's finger, but only after the noticeable struggle. 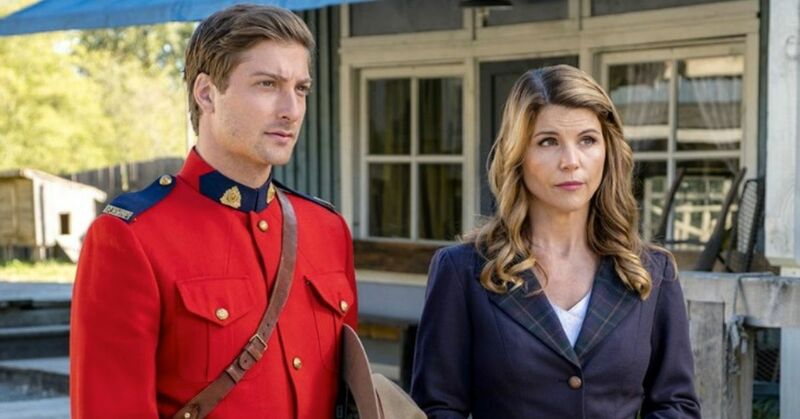 Whenever a couple has to delay their wedding, it's mostly due to a situation beyond their control. 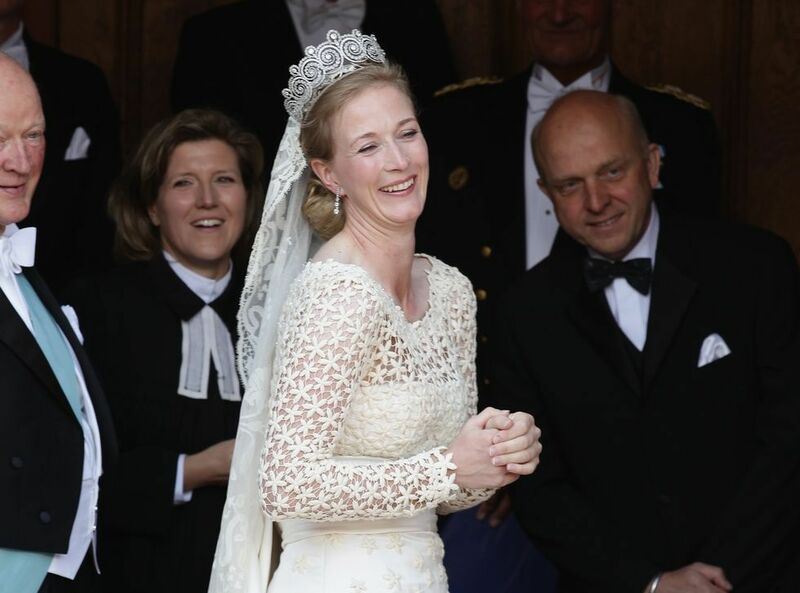 However, for Princess Nathalie zu Sayn-Wittgenstein-Berleburg of Denmark, her situation could have been avoided. In 2010, Nathalie accidentally forgot her bouquet - which she required to walk down the aisle, but luckily it was retrieved only 10 minutes later. 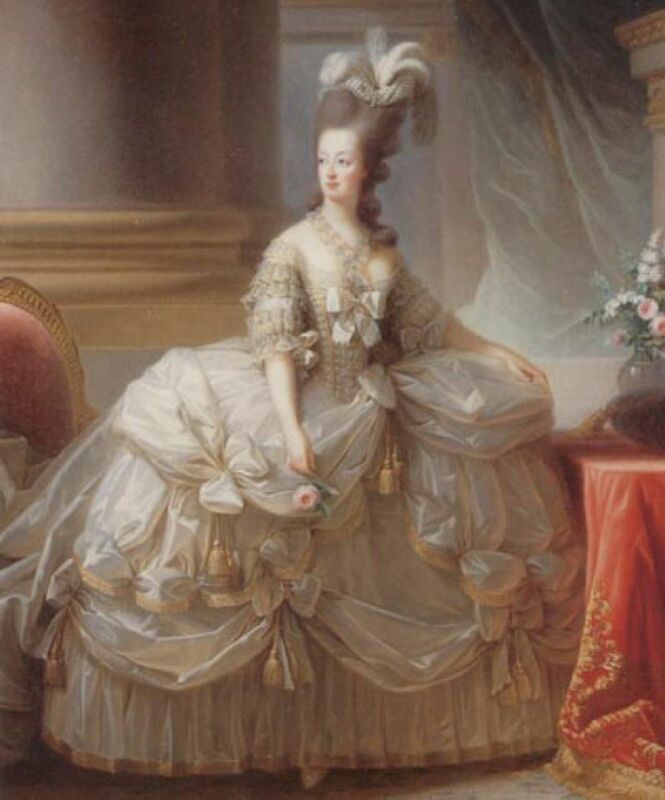 One of the most embarrassing wedding day moments deserves to be awarded to Augusta of Saxon-Gotha in 1736. 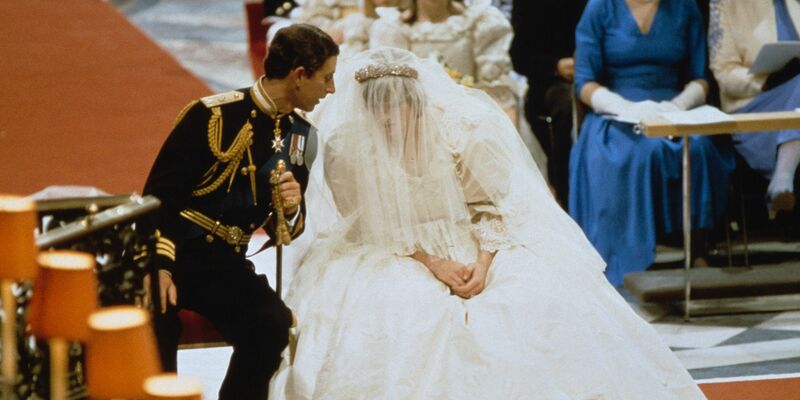 On her way down the aisle to marry Frederick, Prince of Wales, her nerves got the best of her and she threw up all over herself and her soon-to-be mother-in-law. 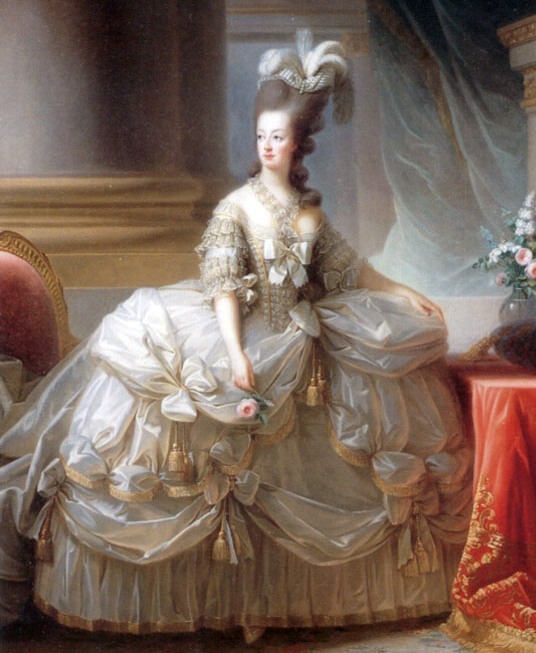 Don't let the painting fool you, because in real life Marie Antoinette was unable to properly fit into her wedding gown. The seamstress miscalculated the soon-to-be princess's measurements, causing her shift to be visible to the naked eye. Since the back of the dress couldn't be closed, there was an unflattering gap between the rows of diamonds on the back. 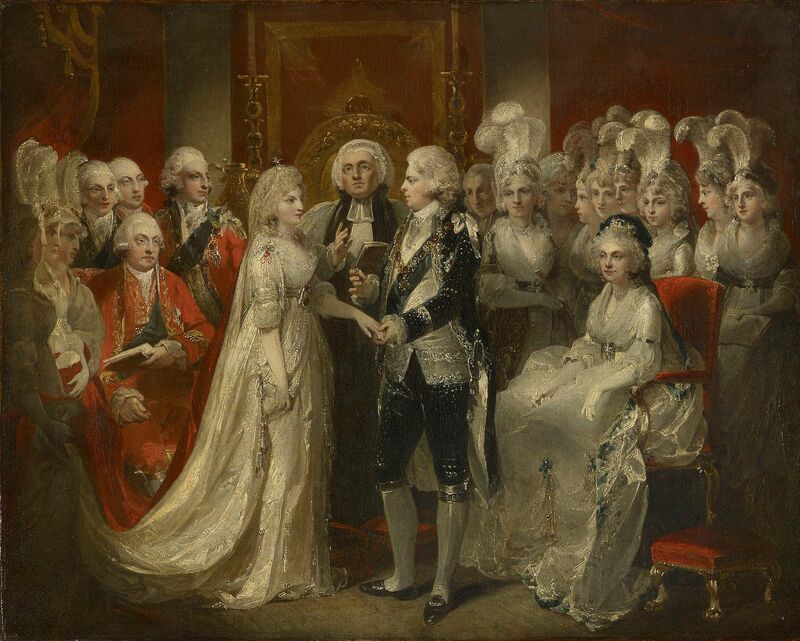 To make matters worse, Marie's betrothed didn't even make it to their 1770 nuptials. 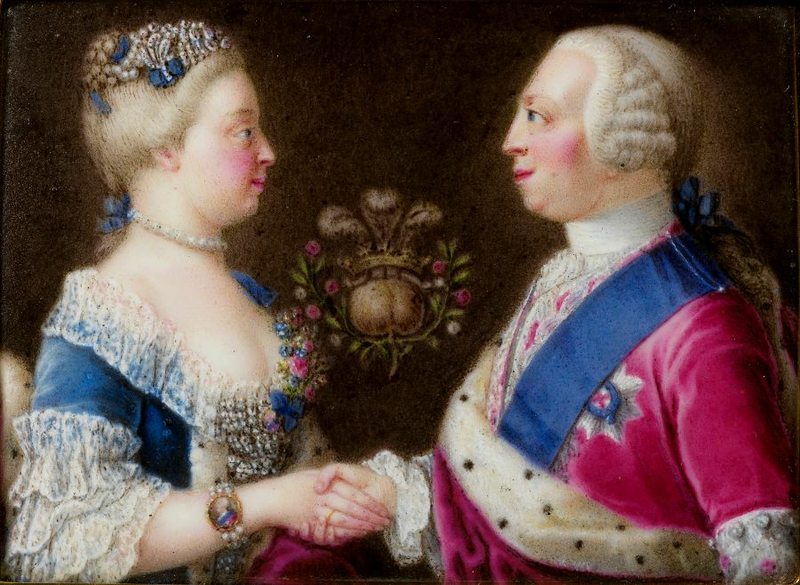 At only 15, King Louis XVI didn't want to marry his bride, and had Marie's older brother, Ferdinand become his stand-in. It's alleged the teenager "sulked and brooded" during the ceremony's reception. 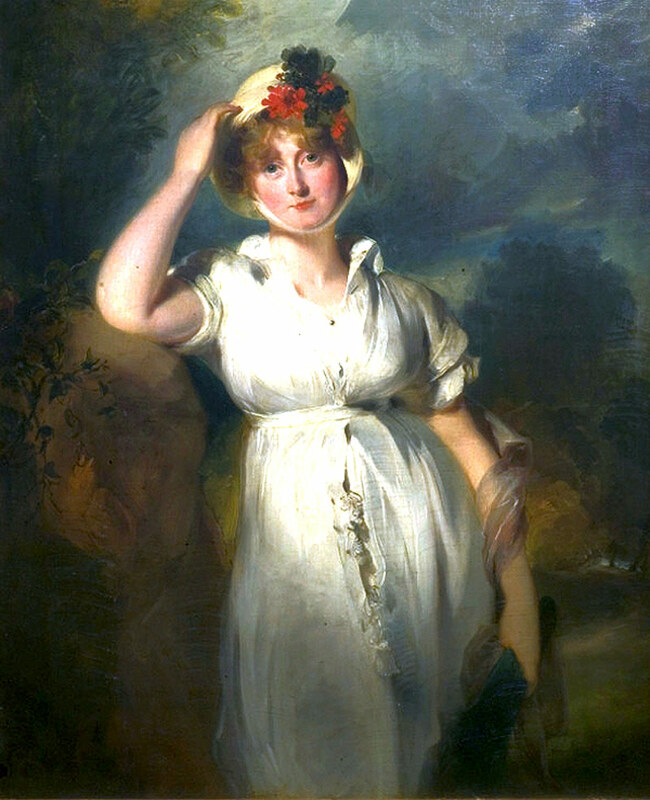 While you'd assume it would be a guest who became drunk at the wedding ceremony, in the case of King George IV, he was the one who turned up intoxicated. In 1795 the king had to propped up by his groomsmen during his nuptials. To make matters worse, he was forced by his father to say his vows, and supposedly broke down in tears after no one objected the wedding. 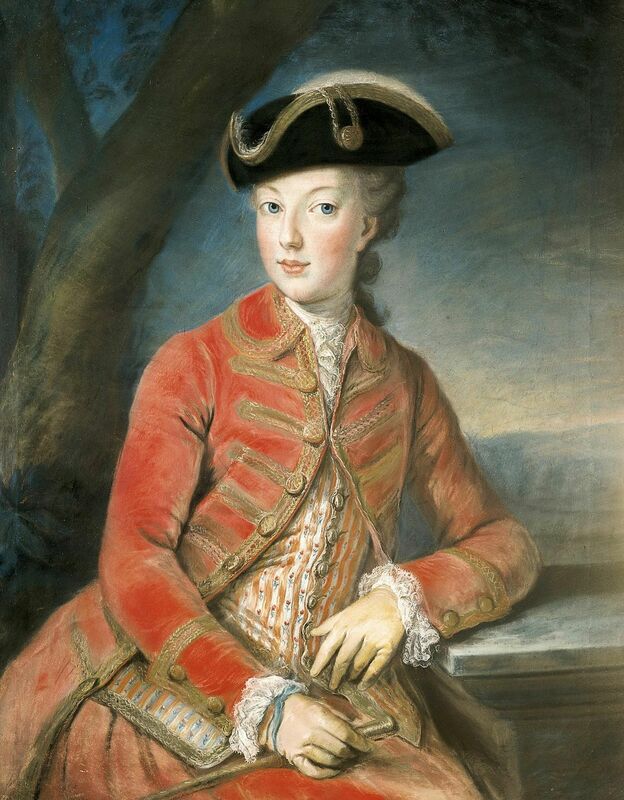 Fed up with his antics, his bride, Catherine of Brunswick, left him under a grate. An unstable groom wasn't the only problem Catherine faced during her wedding day. Her gown, which was made out of velvet, ermine, lace, and silver tissue, was so heavy she was unable to stand up. 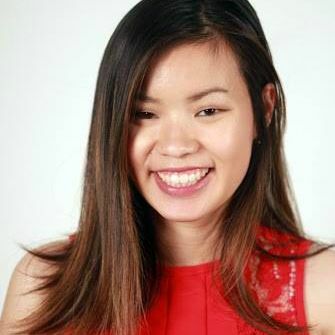 Without the help of her bridesmaids, she wouldn't have been able to make it down the aisle. On the morning before Queen Elizabeth II was set to tie the knot with Prince Philip, her hairdresser broke her tiara. Thankfully, it was repaired in time for her to walk down the aisle. “On that day, they had it police escorted to the House of Garrard workshops," Royal jeweler House of Garrard told Marie Claire. 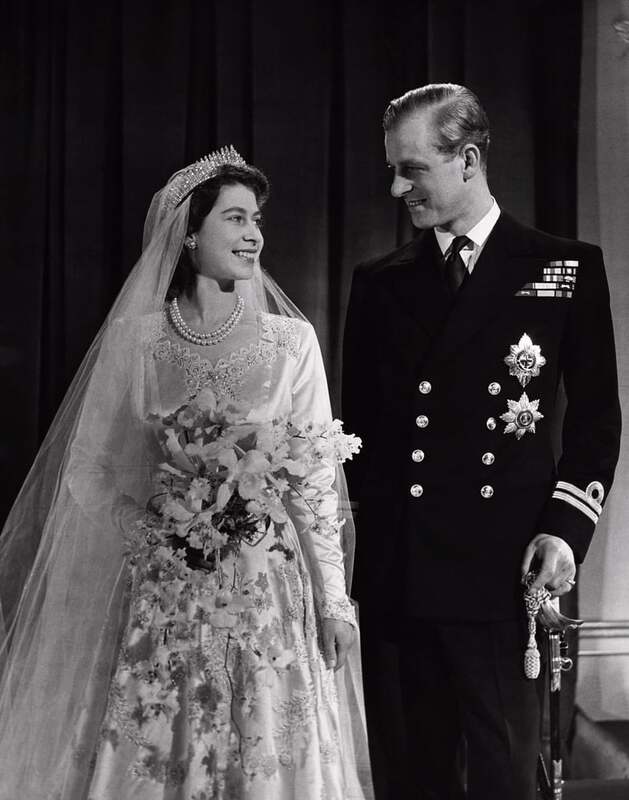 "We fixed the tiara that morning, had it sent back to Queen Elizabeth, and then she got married in it. 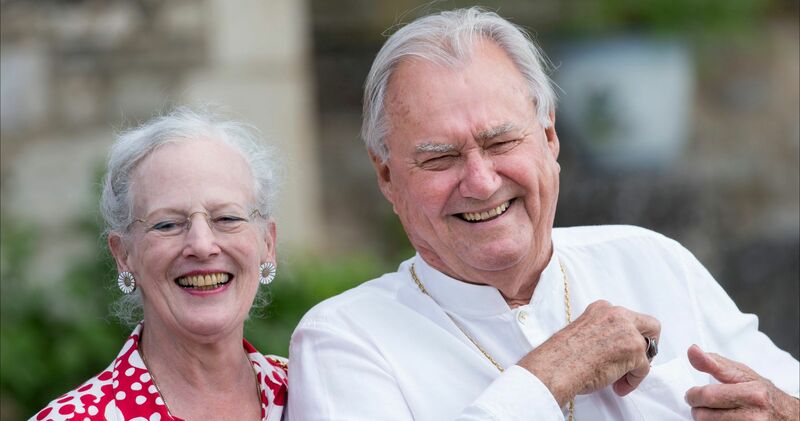 You don’t expect the royals to have those sorts of mix-ups, but they do!" Since tiara was still in great shape following her faux-pas, her daughter, Princess Anne, was also able to wear it on her wedding day. If you think getting drunk at a wedding is a scandalous event, you haven't heard about someone dying during the reception. While not a faux pas, this one is pretty embarrassing. 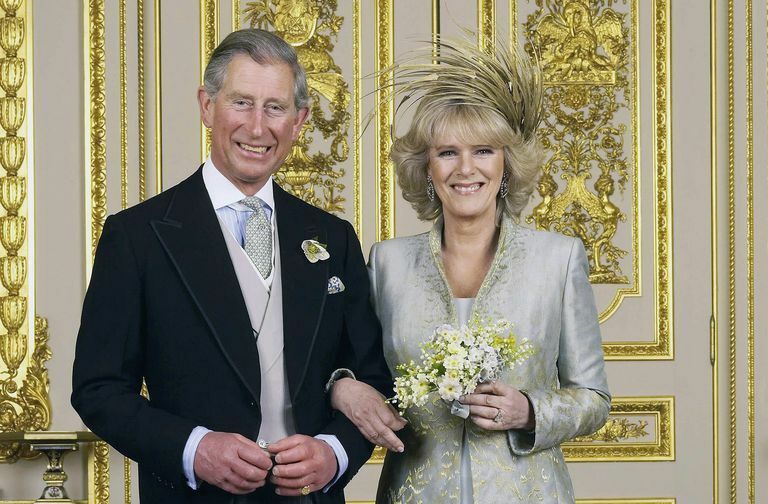 When Prince Charles and Camilla Parker-Bowles finally wed in 2005, they were obligated to own up to their shameful past and had to acknowledge the "manifold sins and wickedness" of their relationship in front of all their guests.